The first thing I want you to know is that products do NOT lock hair. Wait, what? Yes, you read that right— think about people with freeform locs that don’t retwist their hair or use products to lock their hair, yet their locs are immaculate. 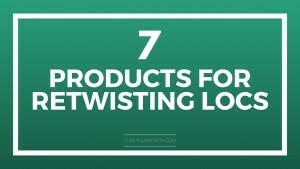 Now, you may be asking yourself “well, what’s the point of using products?” The purpose of using products during your retwist is to add shine, create a polished finish and/or to nourish the hair. 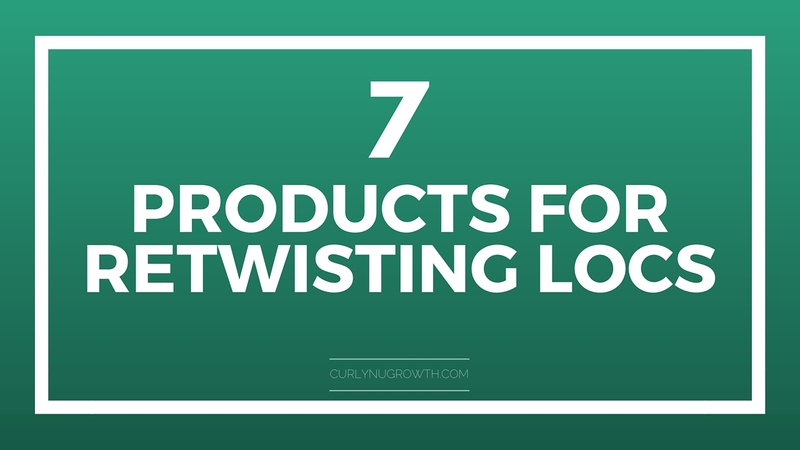 I would like to share with you a few products that I’ve used and love, and also expose you to a few brands that have products for retwisting locs that you may want to try on your locs. Because there are different philosophies of hair locking, I’m going to share a little something for everyone. Dr. Locs – Imani Locking Spray. This product is used after you have retwisted your locs to give them hold, shine, and nourishment. Because it is a lightweight spray it is designed not to cause build up. 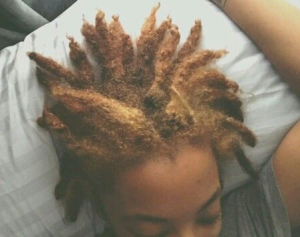 This would be especially good for locs in the starter phase because it is so light. Lockology – Locking Gel. This product is a lightweight gel created to moisturize, condition and provide a light hold while not causing build up. With less than 12 ingredients in this gel, it could be used on locs in the starting phase or mature locs. Sauntay’s Originals – Loc Elixir. This product was developed by a stylist and gives amazing shine to the hair, as well as a light-medium hold for retwisting locs. Because this is a shea butter based product, it would be better suited for the early stages of locking instead of use on mature locs. NuGrowth Essentials – Divine Hold. This product gives a flexible hold, without using any chemicals or ingredients that can cause build up; and it does not cause flaking! Because this product is all natural, it is great for locs at any stage of the locking process. Aloe vera gel. For me AVG gives good hold and does not build up or cause flaking. I prefer to use homemade aloe vera gel over the kind that you find in the store for retwisting my locs because I can ensure that it is truly aloe vera gel and I can add in my own custom blend of essential oils to address my hair care needs. INTERESTED IN MAKING YOUR OWN LOCKING GEL? CLick Here to Join the Workshop Today!Foam Wrap. Recently, this has been my favorite product for retwisting my locs, especially if I’m creating a style along with maintenance because it is basically a lightweight liquid that helps to hold the shape of my style. Water & oil. After I shampoo my locs, I oil my roots and the length of my locs then proceed to palm roll my locs. No additional product is necessary. This will hold until my next shampoo if I style my locs (braids, twists, curls, etc) or at least a few days if I take care of my locs at night and don’t workout too hard. 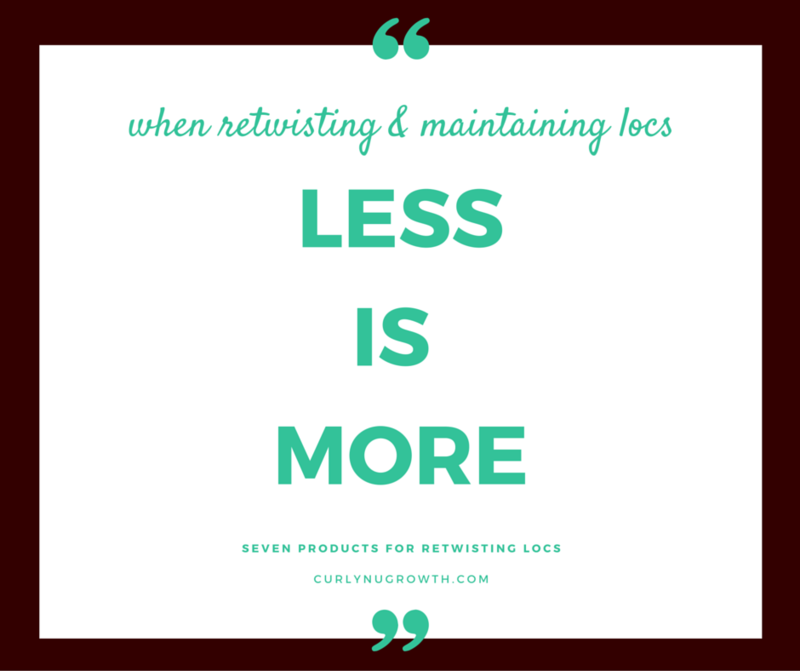 My motto for product usage on locs is “less is more”. No matter which product you are using, I encourage you to adapt that same principle as well so that you won’t have to deal with excessive buildup later on, thinning locs, or locs that are heavy from an internal accumulation of products. 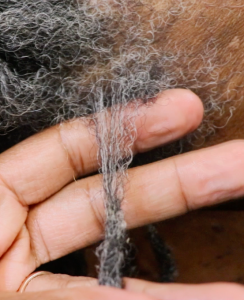 I do not believe you should attempt to “glue” your hair together because if you look at how locs are made, you will see that the hair will naturally intertwine together and do what it needs to do. 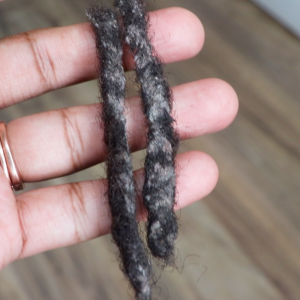 What are you currently using to retwist your locs? And is it working for you? So far yes. The only thing I don’t like is you can’t make a batch because it will not last long so when I know I am going to wash and retwist my hair, I will make some the night before. Same me money and time looking for all natural hair product to retwist. I had been using Taliah Waajid’s Tight Hold, but I’m trying to get away from all that. Last wash, I barely had to retwist (a FIRST for me in my loc journey! ), but i put some Jamaican Black Castor oil on my roots. Want to mix that with Aloe gel…not sure if it would hold anything together (my hair has a tight wave pattern), but I figure it’ll at least be good for moisture and growth! Still experimenting to determine which the best products for my hair. I started my mom’s locs recently with braids. Her gray hairs are starting to show and she wants to color her whole head now. I think she should wait at least 6 months to a year before she colors her hair because of the chemicals. What do you think/recommend? You can color your hair at any stage in the locking process, but I would highly suggest that you see a professional to do so. Can you do a post on the pros and cons to interlocking vs palm rolling? 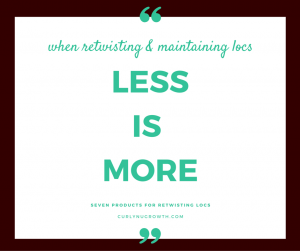 Are there any drawbacks to interlocking after a long period of time…ie years? Posted! Check out the article “Palm-Rolling vs. Interlocking Which is Best? I’m twisting with flax seed aloe gel that I made… I decided to use this to twist my hair to begin my loc journey. So far I am loving the flax seed gel! Hey there i just started the DIY flaxseed gel and it’s my second time using it…i used a good bit in each loc. I figured it’s natural so it won’t hurt but now i am a bit worried . Will this cause build up in my locs? Yes flaxseed gel can buildup and causing flakes in the locs. Always, regardless of what you use, less it more. Will this loc crush flaxseed gel work for more course hair? Flaxseed gel works for all textures. 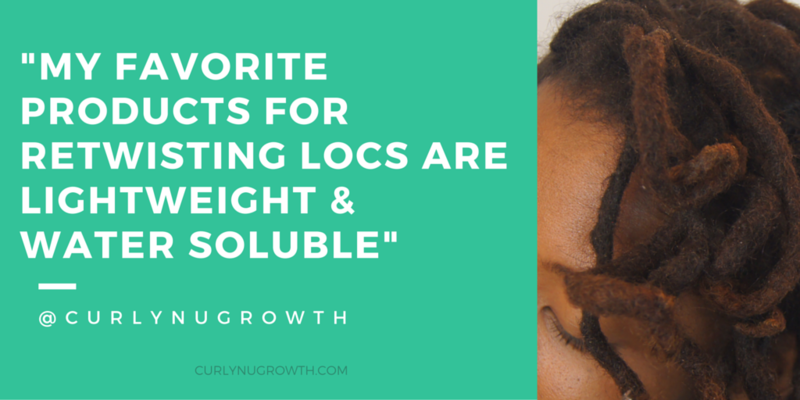 I’m not sure, but you should check out this article, “Causes of Thinning Locs“.